Now open! 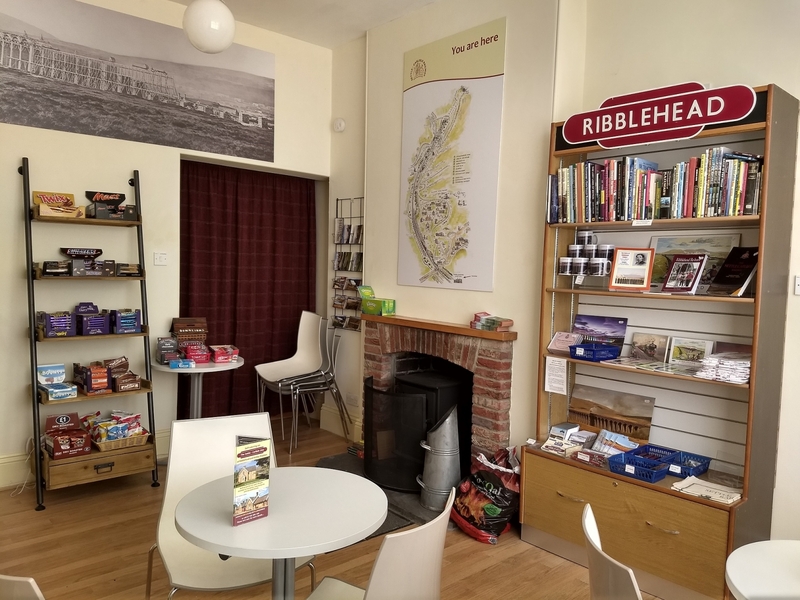 Ribblehead Visitor Centre cafe has reopened after major refurbishment over the winter, from damp-proofing to redecoration, refurnishing and a brand new coffee machine! Much of the work was done by FoSCL volunteers. Nick Pearce, Chairman of S&C Railway Properties Ltd, said "Thank you to everyone who came to help; to those who made long journeys; to those that started at crack of dawn; to those who stayed late to get jobs done; to those who worked at home to prepare in advance; to those that did the less attractive jobs; to thise who kept going when obviously tired; and to those who kept us smiling at all times. A great team." And it's not just the cafe: the Visitor Centre has some great displays and exhibits; the centrepiece is an interactive terminal where you can fly all round a 3D graphic of the famous viaduct, and travel along the line from the air.